If anyone else is from the Northwest Arkansas area, I'd be happy to chat and see about meeting up for some range time. First of all, greetings and welcome from Lexington KY. As a retired Cartographer, I am curious as to why you are destroying maps????? i probably know how you feel. 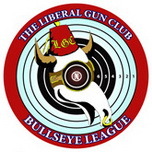 to my knowledge i was the only LGC member in tennessee when i lived there, and i couldn't very well discuss guns with my liberal friends, either. haha I actually LOVE maps. Did the EAST lab program in high school where I did GPS/GIS stuff for my hometown for 4 years. But the name is just from a song that I loved when I was young and the handle just kind of stuck. For me, it had the personal meaning of letting go of what I think I know and venturing out of my comfort zone - to a place that is unmapped and to become someone for whom the old maps no longer apply. Yep, you'll fit in well here. Welcome again! We have strayed away from the import thing...Whatcha Shoot? Never confuse knowledge with intelligence. Greeting from Las Vegas Nevada.